The Flagstaff Chess Club supports free local K-12 Scholastic Chess clubs and no-membership required tournaments. 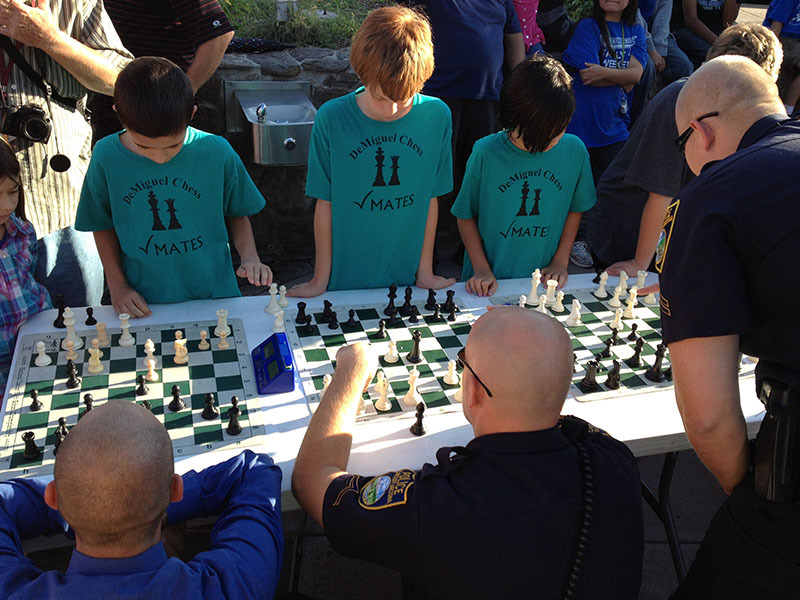 The DeMiguel Elementary school chess club played the Flagstaff Police Department in a Blitz Chess tournament at First Friday Artwalk. 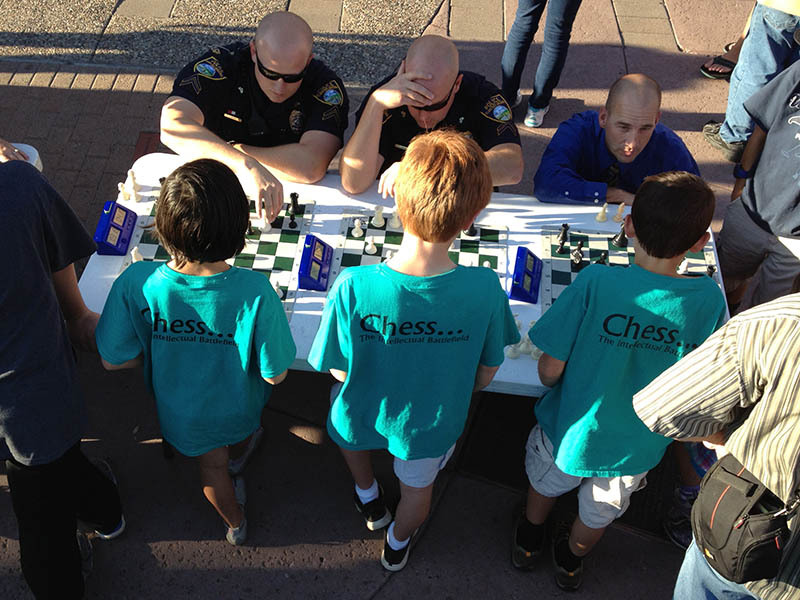 Flagstaff Chess Club encourages parents to be closely involved with their children's pursuits including chess! If you have an informal club at your school, contact us and we will list it.